Taiwan’s Up Media reported on Mar. 19 that Washington has proposed to lease instead of selling F-15 fighter jets to the island. 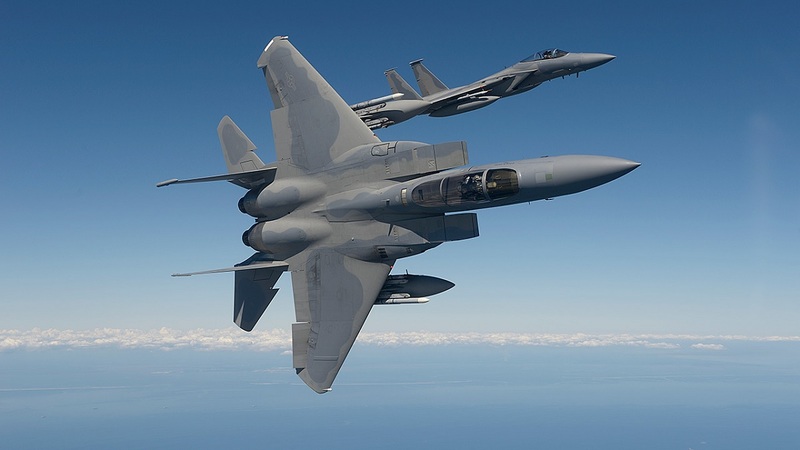 According to Alert 5 Weblog, the potential deal is a win-win for both parties as America is unwilling to sell the Eagle to Taiwan and the latter might not be able to afford buying new F-15s in large quantities. The proposal is to lease aircraft that still have half of their lifespan remaining and upgrade them with new mission computers and fire control radars. Taiwan had previously leased 40 T-38 advanced jet trainers in the last century as well as Knox-class warships. However Taiwan interest in Boeing fighters comes as a total surprise. In fact as we previously reported, on Apr. 5, 2017 an official from Taiwan told the Foreign Affairs and National Defense Committee that the island welcomes the sale of the F-35 stealth fighter. Taiwan was looking for a fighter with short-take off and vertical-landing (STOVL) capabilities, hence the need for the “B” variant of the F-35. But, although it is possible that the Lockheed Martin F-35 could be sold to Taiwan, the island might not be able to afford buying the stealth fighter hence it could buy legacy fighters such as F-15s, F/A-18s or more F-16s.